Florida doesn’t require that people who hit you have liability insurance to pay for your injuries. 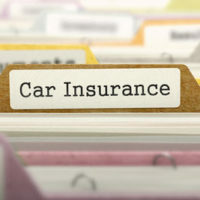 Therefore, it’s most important that you buy uninsured/underinsured motorist coverage . If a person has no insurance and they damage you, your uninsured motorist coverage will protect you up to amount of the limits that you purchase. If they don’t have enough insurance, your underinsured coverage will take care of you up to the amount that you purchase. In Florida it is particularly important that you buy this type of coverage. If you have questions, please call Larry or Hank Hornsby at Hornsby Law Group in Winter Park, Florida immediately.